A classic rich, dark chocolate brownie with a gooey centre. 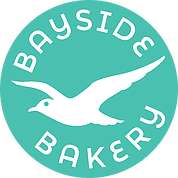 This is the Original Bayside Brownie, where it all started. Box of 8 delicious brownies. Sugar, chocolate (19%) (cocoa mass, cocoa butter, fat reduced cocoa powder, sugar, emulsifier – sunflower lecithin, natural vanilla flavouring), butter, (milk), free range eggs, flour, (wheat).